Now, everybody knows that diamonds are a girl’s best friend - but when it comes to their shape, it’s not a case of one size fits all. From classically round, to stylishly squared off, diamonds come in a whole host of shapes - not to mention cuts, each with a unique feel. So when it comes to picking the perfect diamond shape, which one suits you best? Check out the variety of shapes available at Diamond Heaven below. The round diamond is the most classic of them all. Perfect for the girl with timeless style and a traditional heart. A popular engagement style and widely featured in all other diamond jewellery, the round diamond is a style that will never lose its appeal. 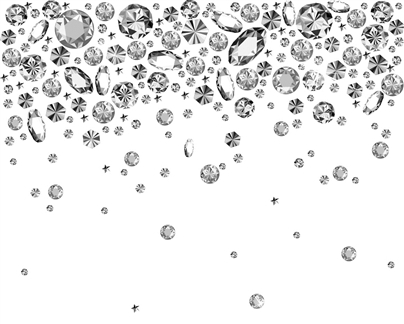 More than half of all diamonds sold today are in fact round in shape, thanks largely to their versatility. With so many beautiful designs featuring the class round diamond, it's easy to see why it retains its staple status. Take a look at our classically beautiful round diamond styles. For those who like a straighter edge, the radiant or princess cut diamond is the perfect fit. Though the sharpness of their corners varies, they are both squared and again, make a very popular engagement ring style. These shapes are great for showcasing maximum sparkle, making them ideal for anyone looking to make a statement. Take a look at our striking princess, radiant and cushion cut diamond styles. The emerald and asscher styles differ from the others, as they are step cut styles with rectilinear and parallel facets. As favoured by the Hollywood elite, these shapes are show-stoppers - perfect for those who like their jewels to be bold and beautiful. Take a look at our emerald and asscher styles. Pear and marquise shapes are attention-grabbing styles, for those who like to stand apart from the crowd. They are perfect choices for those looking to capture the eye with an alluring shape, alongside maximum sparkle. Their elegant elongated features perfectly suit those with an ultra-feminine style. These are ones for the girly-girls. Take a look at our elegant collection of pear and marquise shaped diamonds. The oval diamond takes its cue from the round shaped diamond, only with a twist. It's for the more creative type, but hasn't totally lost touch with all things classic. In fact, an oval diamond ring oozes a touch of vintage style, for those who like a touch of old school glamour with extra sparkle. The oval is an increasingly popular engagement choice as it is perfectly complemented by the stylish halo setting, and fits beautifully with a coordinating wedding band. Take a look at our suitably stylish oval diamond styles. Last but certainly not least, the heart shaped diamond is for the wonderfully romantic type - naturally. It's clear affiliation with love appeals to those who are not afraid to spell it out. And of course, it's a sweet, fun style that can subtly show off your playful side. Take a look at our heart-shaped styles. You can find our entire collection of diamond rings in one place online, or visit one of our stores in Birmingham , London and Manchester , to see which one perfectly suits you and your style. Just book an appointment here.